Host a one hour Ikebana workshop at your venue and earn $200* or more (*See Q&A). Provide your clients with a unique opportunity to learn a meditative art of Japanese flower arrangement. Shoso Shimbo or a member of his team will conduct an hour Ikebana workshop at your venue at $350 for 10 participants with an additional cost of $35 per additional participant. We provide all materials for the workshop, i.e. flowers, containers, and tools. This service is ideal for an organisation that has a good marketing tools including a good number of clients base. Alternatively, this service can be used as a part of in service session in an institution or can be arranged among your friends. 1. Contact Shoso (shososhimbo@gmail.com) and finalise the details for a workshop at your venue (content, date & time). 2. Advertise the workshop as one of your special events. We recommend you to charge $60 per participant and set the minimum number of participants to 10. If you had 10 participants, your revenue is $600 and pay $350 to Shoso, $50 to a Charity (http://bit.ly/Salvos-Shoso) and the rest is yours. 3. If you don’t have 10 participants one week before the workshop, cancel it. We don’t charge anything if cancelled one week prior to the workshop. State your refund policy clearly to your clients. Q: Can we charge less than $60 per participant? A: Yes. You can decide the fee. If you charge less, your income is less. You can also charge more, but you may need to provide something additional for your clients. Q: If we had less than 10 participants, will you make a discount? A: No. Our minimum fee is $350. Q: What is the maximum number of participant in one workshop? Q: Can we arrange 2 or more workshops in one day? Q: What is the content of the workshop? A: A standard workshop is to make a basic Ikebana style. But the contents can be varied according to your need. Special arrangements such as Xmas or mother’s day flower or wedding flowers workshops can be organised, but our fee may vary depending on the contents. Q: Who has used this service? A: In May 2017, Chotto Japanese Cafe (Fitzroy) organised a workshop and it was fully booked in two weeks. In August 2017, Made in Japan (South Melbourne) organised a workshop and its tickets were sold out in one day 2 months prior to the event. Q: We are a restaurant in Ballarat and would like to organise a lunch with ikebana workshop. Is there any extra cost? A: Our service is available within 100km from the Melbourne CBD. If your venue is beyond the area, we need to charge extra for travelling. Contact us for the detail. Q: Which charity are we contributing to? A: Shoso Shimbo and his team has joined Salvos Community Fundraising. Use the following link to make a donation. Click “Give Now” and follow simple instructions. A receipt will be issued directly from the Salvation Army. Q: Will you help promote the workshop? A: Yes. But our marketing capability is limited. Q: Who are in the Shoso’s team? A: Our current teaching staff are Shoan Lo, Toko Grotowski and Shoso Shimbo. All of us are qualified as Ikebana teacher and run our own Ikebana course in Melbourne. See the next for Shoso’s profile. Shoan Lo: Shoan is a registered Sogetsu Teacher who is accredited with the Sogetsu Teacher’s Diploma in 2010 and currently working to acquire the Teacher's Diploma Second grade. She runs regular classes teaching the Sogetsu Ikebana style. 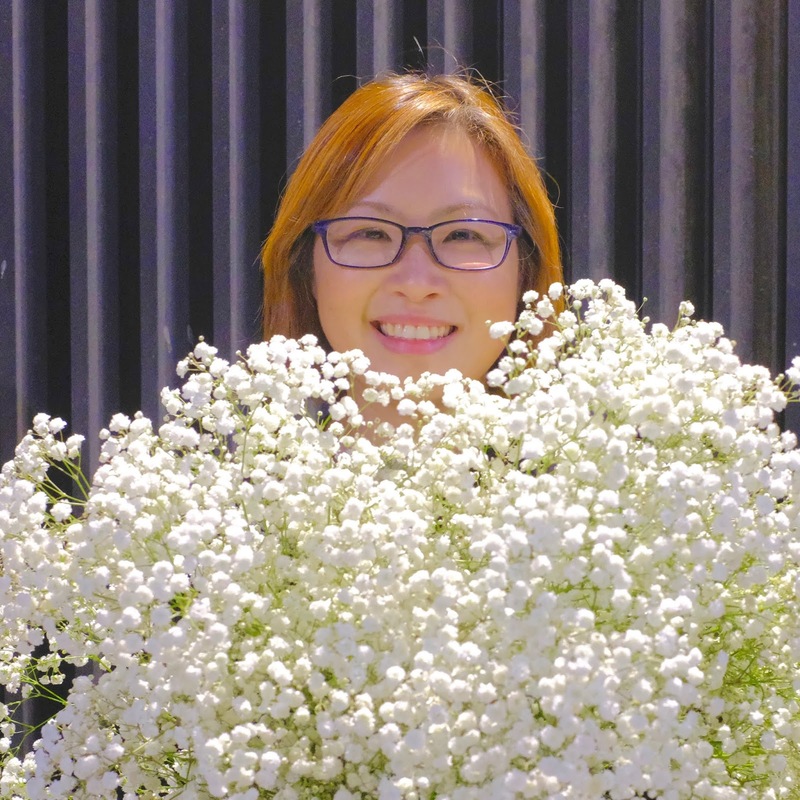 With a background in architecture, she has ikebana training under the guidance of Shoso Shimbo since 2006. 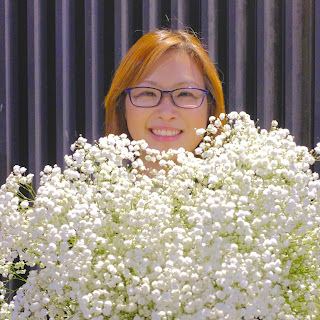 Being conscience about promoting ikebana, she helped Shoso Shimbo in founding the "Ikebana Gallery Award" and is part of the panel for its annual competition. She has partaken in various public exhibitions and competitions, with works display regularly at different premises. Toko Grotowski: Toko started learning Ikebana in 2003 in London under Keiko Yoshino Sensei before moving to Hong Kong in 2005. In Hong Kong, Toko studied under Mrs. Lucille Evans for over 10 years. Since 2015 Toko has been creating Ikebana works for events, commercial and business spaces and individual homes. She is currently studying under multi-award winning Shoso Shimbo PhD in Melbourne. Toko also teaches beginners at her home. She is on the Ikebana Gallery Award committee. Workshop B. Experiencing Ikebana: 90 minutes/$800, Up to 20 participants. $80 per additional participant. A recent client hired a function room at a cafe and combined an Ikebana Workshop B with Afternoon Tea to celebrate her Hen’s Party. Everybody there thought it was so relaxing and a great idea which they thoroughly enjoyed. 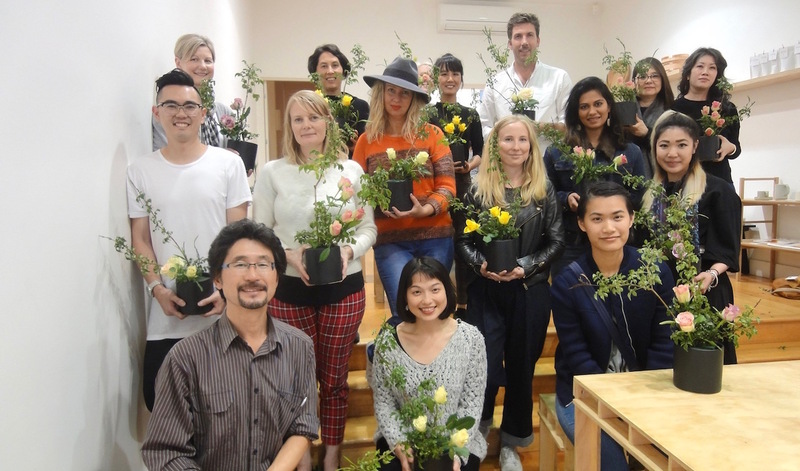 This workshop takes participants through the essence of basic Ikebana. You will enjoy the relaxing and contemplative process as you create your own arrangements. You may also find yourself re-energised through the magic of touching beautiful gifts of nature. Participants arrive with nothing and leave with two delicate floral works of art and the inspiration to make many more. The session starts with a brief lecture on historical and socio-cultural aspects of Ikebana. Then, participants will make a basic arrangement to learn the traditional design principles, and a free style arrangement to learn how to express themselves through Ikebana. At the end of the session, you will have an opportunity to have an individual consultation with Shoso and share the philosophy behind your unique arrangements with other participants. Workshop C. Team building: 90 minutes/$1200, Up to 40 participants. After touching on the basics of Ikebana, you will form a team and create a large free style Ikebana. In the process you are encouraged to unleash your creativity. This is a fun way to enhance your team working skills. At the end of the session, each team has an opportunity to talk about how their stunning arrangement came to fruition. The participants’ works can be left as an exhibition for the other members of the institution or the public in general. It is recommended to combine this workshop with the demonstration. Comments from past participants: "Thank you very much for joining us at our national conference. 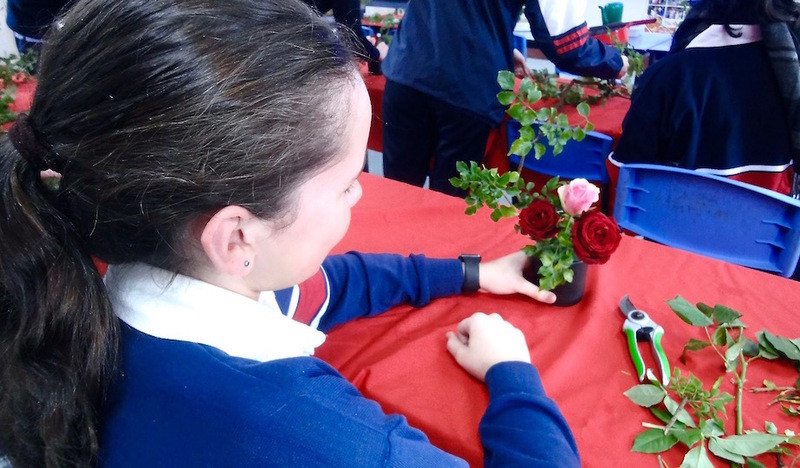 We enjoyed learning about Ikebana and certainly found the principles very relevant to our situation". Manager, Pharmaceutical company. Please download information and booking form. Shoso creates 5 arrangements from a traditional basic style, a miniature arrangement to a medium size arrangement (up to 100 cm high), one of which the clients can keep for their display. During the demonstration, Shoso will talk about the brief history of Ikebana and its significance in the contemporary Japanese culture and society. You will find out why Ikebana is the most popular art in Japan with over 7 million practitioners, almost 5% of the total Japanese population. This demonstration can be incorporated with either lunch box or party catering arranged by one of Melbourne's top Japanese restaurants. Shoso creates 1 large arrangement (up to 8m wide). Accompanying live music can be chosen from international solo artists playing the cello, the flute or the Koto (Japanese harp). 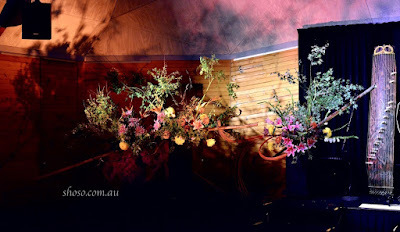 This show can be incorporated with a special dinner to be presented as Flower, Music & Dinner Show.